Decided to join the baggy black for Saturday afternoon cricket on Sydney's North Shore this summer? If you're still not convinced, read the Why Us section. Else, congratulations on a decision well made, a decision you're certain never to regret! It's never been easier to register! Sign-up for the summer season in under 2 minutes by completing the Registration Form (http://www.emailmeform.com/builder/form/69te6ZTw5Jf14coudnc4z0). If the registration form does not work correctly in your internet browser, please flick an e-mail to info@gypsiescricket.com and a club representative will promptly assist with manual registration. The Gypsies Cricket Club offer a variety of different membership packages tailored to suit the needs of each player. Packages are all inclusive, there are no hidden costs. Squad sizes are kept low (approximately 14 players) to ensure that members are rostered to participate in as much cricket across the season whilst never playing in a team of less than 11. Please choose the package that best suits you. Please find a summary of the differences between membership packages underneath the table below. These differences account for the varying cost structures. Early Bird Registration: Payment by 31st August. Discounted fee as per table above. Standard Registration: Payment by 20th September. No discounted fee as per table above. Late Registration: Payment after 20th September. No set fee, e-mail info@gypsiescricket.com. Synthetic Pitch Cricket (NSCA A, B, C & D Grades): Option of playing in two different formats across a 21-23 week season; one-dayers only or hybrid (one-dayers and two-dayers). Season commences first weekend in October after Labour Day public holiday and runs until mid March, followed by two weeks of finals. Turf Pitch Cricket (NCU A Grade & SMCC Cups): Option of playing in two different formats across a 21-23 week season; one-dayers only or two-dayers only. Season commences first weekend in October after Labour Day public holiday and runs until mid March, followed by two weeks of finals. 1st Season with Gypsies Cricket Club: Issued with baggy black cap. Establish team kit. 2nd Season with Gypsies Cricket Club: Issued with jersey. Maintain team kit. 3rd+ Season with Gypsies Cricket Club: Training clinics. Maintain team kit. Online Funds Transfer Use internet banking to transfer funds to the below account details. 1: For example, "R.Ponting" and "S.Waugh". 2. Consult Player Membership Packages to identify the fee correct for you. Cheque Write a cheque with the below details and hand to a representative on the club's Board of Directors3 for deposit. 3. Representatives on the club's Board of Directors are listed under header "Office Bearers" in the Contact Us section. 4. This type of cheque should have two parallel vertical lines through it with the words "Not Negotiable" and "Account Payee Only" clearly printed between these lines. 5. Consult Player Membership Packages to identify the fee correct for you. Commonwealth Bank Branch Deposit Visit your nearest Commonwealth Bank branch6 and make a deposit to the below account details. 6: Nearest Commonwealth Bank branch can be idenitied at http://www.commbank.com.au/locate-us/. 7: For example, "R.Ponting" and "S.Waugh". 8. Consult Player Membership Packages to identify the fee correct for you. PayPal Transfer Follow the prompts under the "Send Money" tab in PayPal.9 to transfer funds to the below details. 9: "Send Money" tab can be found by logging into PayPal or visiting https://www.paypal.com/au/cgi-bin/webscr?cmd=_send-money&nav=1. 10. Consult Player Membership Packages to identify the fee correct for you. 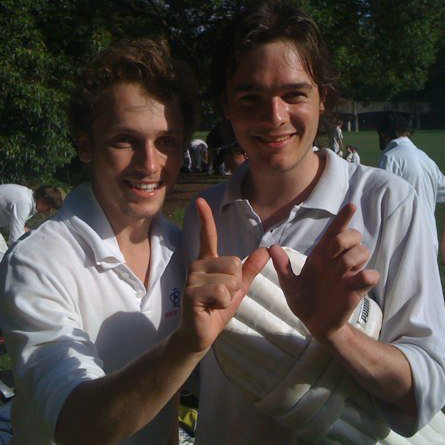 11: For example, "R.Ponting" and "S.Waugh". 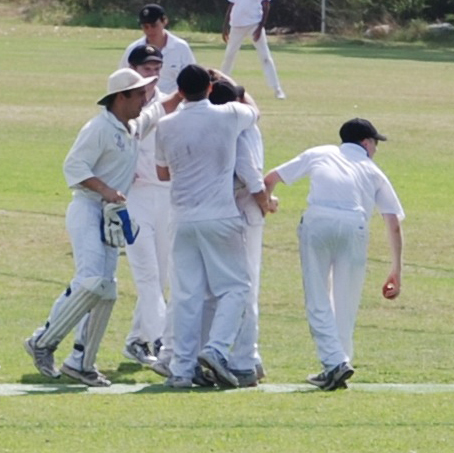 Mateship has always been a priority for the baggy black. As such, players who successfully refer a friend to join the Gypsies Cricket Club are entitled to a $10 cash-back paid on the last Friday of October. Please note, the cash-back is limited to $10 per player (irrespective of the number of referrals) and referrals are only counted for friends who have not played for Gypsies Cricket Club previously. The cash-back cannot be deducted from a player's season fees. To ensure you don't miss out, be the first to speak to your friends today! And ensure they type your name in the "Referred By" field of the Registration Form.